Products / One Time Box! Order with your subscription for immediate shipment or try without a monthly commitment. One Time Box! Order with your subscription for immediate shipment or try without a monthly commitment. Are you ordering mid-month and don't want to wait for the shipment at the start of next month? 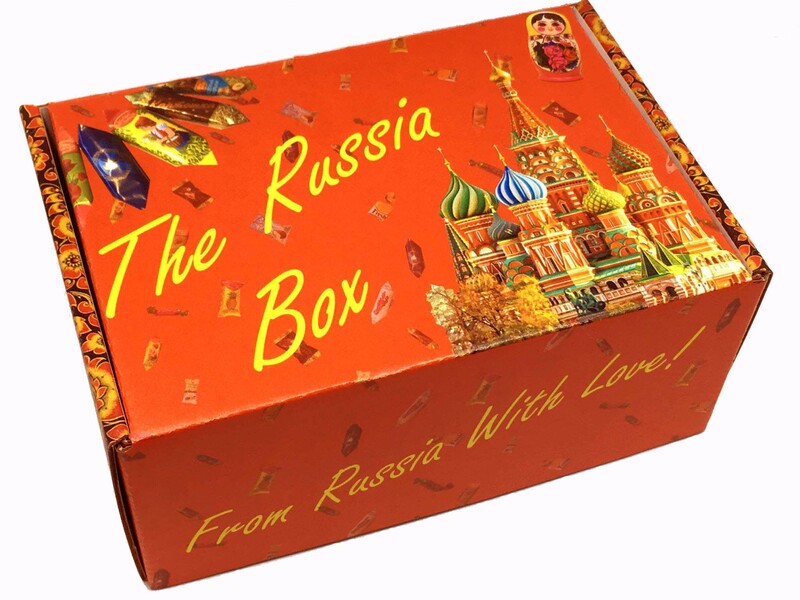 Add this box to your subscription (it will ship right away)! Want to try a previous box, but not ready to commit to a monthly service? We got you! What's inside? Just like our regular subscription boxes, each one time box contains 1 or 2 large items, 5 to 10 small to medium snack items and 1 cultural item. Save for yourself, share with your friends, or give a sweet gift to a loved one! Large Items may include Cookies, Crackers, Tea, Jams, Jellies, Hot Chocolate, Rahat Lukum, Turkish Delights, Pastilla, etc. Medium Items may include Chocolate Bars, Zefir, Marshmallows, Gummies, Filled Chocolate Candy, etc. Small Items may include Chocolate Candy, Caramels, Nougats, Wafers, etc. Lifestyle Items may include traditional Russian Arts & Crafts, Figurines, Games, Souvenirs, Dishware, Tea Accessories, Matreshkas, Ghzel, and Khokhlama. This is a ONE TIME box, and will not renew. Please note that the items inside may vary and may not be the exact items included in the original box.